1: knowing where you’re going to university! If you live miles away then I guess this is a tough one, but maybe study the place you’re moving to on Google maps. Find out where the high street is, the most popular clubs are, little things like what’s down any side streets and the bus routes, parks, what’s out of the city centre. I’ve known plenty of people from halls and classes who never visited Cardiff before they moved here which is a brave move! So get to know the place before you move, because you might find that people aren’t as helpful as you think they’ll be, they have their own move to worry about! If you don’t live miles away, maybe take a friend, make a day of it, go shopping, go for a walk, maybe use a bus to see how the bus fares work. For example, Cardiff buses do not carry change, and you need the exact fair. They also have an iPhone app that lets you buy your ticket online so you just show your phone and pay with your Barclays ping it app. As I found out, if things go a little pear shaped, you’ll be stuck for finding a new house mate. It’s not the best situation to be in. As nice as it is the thought of living with someone who you care about going to the same university together is, it really isn’t when things go down the toilet. It’s not a nice situation for your housemates and the stress isn’t good on anyone to find someone random to replace the suitation. I suggest moving close to your partner or even staying in the same halls in different doorms. Space is good, and you can always sleep over each others rooms. I have found living apart can do wonders, because when you see them you appreciate your partner even more, plus it’s nice to get away from a busy enviroment. You have plenty of time in the world to move in and make your home their as well, but trust me, university is not the place to do it. I admit, juggling a job and being in university is hard. But living off £1000 for 3 months is slightly impractical and impossible, especially when student finance sometimes mess up and pay you late, you have bills and rent to pay, and still need money to enjoy yourself. Getting a job in a shop you use regularly is great. Some shops even prefer to take on students because trust me, you’ll love extra hours in your spare time, especially if it means extra money! I do suggest getting something completely opposite to your course. The balance for me was great, as I needed a break from art and when I wanted to do art, I could go back to my course. As long as you explain in your interview that you are a student they should be cool with it. Don’t take on too many hours, like I did on my last course thinking I could do a full time job as well as full time in university, but make sure you have some income coming in because you never know what will happen. I started off with a Graphic Design course, which seemed all fun and games talking about it and getting onto the course in the first place. But when I actually started my course I realized it wasn’t for me and I was more of an artist than a designer. My art teachers told me to take the course even though I wanted to pursue Fine Art but I took their advice. Big mistake. I found the course quite unstructured and I was not used to having 1 or 2 tutors to share amongst a class of 60. Look up your course on the internet, talk to past and present members of the class and look up the percentage of your university to see the pass rate, drop out rate and job rate to make sure your course is suitable for your needs. In school I wasn’t the most popular member of my class because I was (hate using this word but I’ll use it anyway) different and weird, so you can imagine what happened. But in university everyone is different, and being yourself is the best thing you can be. If people don’t accept you for who you are, move on until you find someone who accepts you. Do not try to impress anyone, it’s not worth the time or effort. Everyone on my courses were pretty accepting and talked to anyone, there was no social groups and you could literally sit by anyone so I was quite lucky in that respect, but if you like cartoons, there will be someone in your class who likes cartoons, just like there will be people who like going out, who like sports. There will be someone there who you can talk to, so do not worry about making friends! I’ll just come out and say this straight away. They’re absolute numptys. Most letting agents do not care for the well being of who lives in that house. To you you’re just a customer who will help them get a bonus at the end of the month, and that almost activates them to become pushy sales people. Think about where you’re going to see, and go away and think about your decision. At the end of the day, you’ll be living in that house for a year, possibly longer and you want to make sure that house is fit for you to live in. Does it have any damp or mold problems? Is it far from town? Does it have transport links? Are there any shops around? Don’t be scared to ask questions. There’s one letting agency in Cardiff, I won’t name any names, who won’t let you view a house twice and as soon as you get back to the office demand you sign a contract. It’s okay to say no and to think about it. They’ll probably tell you some story about how the house won’t be there next week they’ve had loads of viewings and someone is really keen on looking at it tomorrow. They’re all nasty sales techniques. Google your letting agency and see the reviews. You might uncover some nasty surprises but it’s better to know about them before you move there. This is hard to accept when your loans and finance comes in, and it’s hard not to live like a king for the week while you feel like you own the world, but once you go up you have to come down. Living on rice and super noodles for a month to recuperate expenses is not fun or practical. I suggest getting two bank accounts set up, one without a bank card or sending that card back to your mother. It’s effort to spend time in a shop to transfer money but it’s probably the easiest way I’ve found not to spend money. Don’t spend money you haven’t got. Overdrafts are there if you need help, not for a dress you need for a night out, or for a meal with your friends. If you get one, use it sensibly, because once you go into it it’ll be hard to get back out. Plus depending on your bank and credit history, it can actually damage your credit so getting things like a mortgage will be harder. Myself, I do not have an overdraft, I have been called stupid for trying to live on just my money, but at the end of the day, I don’t need anything I can’t afford. Living is hard enough without the pressure of repaying back more money that isn’t mine. 8: It’s okay to admit defeat, and log any sickness with the university. If you’re stressed or struggling to cope, talk to someone. A tutor, adviser, they can help, and can even give you an extension on a project. If you’re ill, make sure to log it with the university. If you can’t come in because you feel stressed, log it with the university. This is something I didn’t do while trying to claim a year of finance back to restart a course which in the long run made it harder to fight my cause, despite having medical evidence I was unwell. 1 in 4 people will experience depression in a year, from stress to home sickness, it’s okay and it will get better. Talk to someone, go to the doctors. I found it exceptionally helpful to go for a walk on my own or catch a random bus and see where I could end up. Everyone deals with cooling off differently, it can be scary but talk to someone and you’ll feel so much better. This is something I never do, but I try to do it. Set your week out ready, and allocate break times. Maybe revise 5 days out of the week, with 2 days break. Even if it is a hour a day it’s still something to keep your brain active. Your Xbox or PS4 will still be there, your Sims won’t die if you don’t play, getting drunk and going out can happen another day. University and studying is important. If you’re finding it hard to concentrate maybe go back home for a week for some quiet time, or even move your room around to change the mood. This is something I do on a regular basis, which can be annoying, but working in a new atmosphere is something that helps keep my brain working and active. Yes you’re in university, yes you have an endless supply of alcohol and you’ll find money to fund a night out out of thin air, but alcohol won’t suddenly go out of fashion or stop being sold tomorrow. Take your time on a night out. Do you really want to be remembered as that girl who stripped on stage in a paddling pool in a club and touched yourself inappropriately? It may be funny to other people but to your reputation and future career it could be harmful. Take your time, enjoy yourself, there is having fun and going completely overboard that ruins your night and others. You will notice that friends from back home won’t want you anymore, or won’t make an effort despite how much you try, or that people who you thought were good people will suddenly turn their backs on you. Don’t panic, just move on with your life, flip your weave and get on with your day. They aren’t worth the time or hassle. I’ve gotten rid of some people in my life I thought I never would, but coming away and seeing the scene back home from a different perspective made me make rational decisions to better my life. So don’t worry, make the most of university but don’t go too crazy or make decisions you will regret! 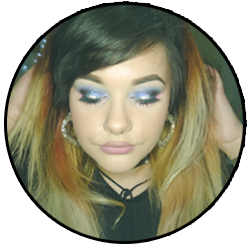 Posted on May 19, 2014 January 3, 2015 by sindyydollPosted in How To, In and Around Cardiff, Life of SindyydollTagged bblog, bblogger, cardiff, guide to life, help, how to, How to university, university guide, university life, USW. Previous Previous post: Holographic Lipgloss? Bare Minerals Hypnotist Marvelous Moxie Lipgloss Review! Next Next post: Pixi Flawless Finishing Powder Review!